We are excited to announce the publication and release of the premier issue of The Sargent Report: Tribeca. 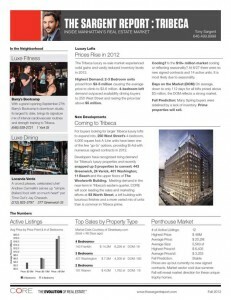 It has been designed to provide Tribeca loft owners and you with a time-efficient but in-depth review of the Tribeca luxury real estate market. 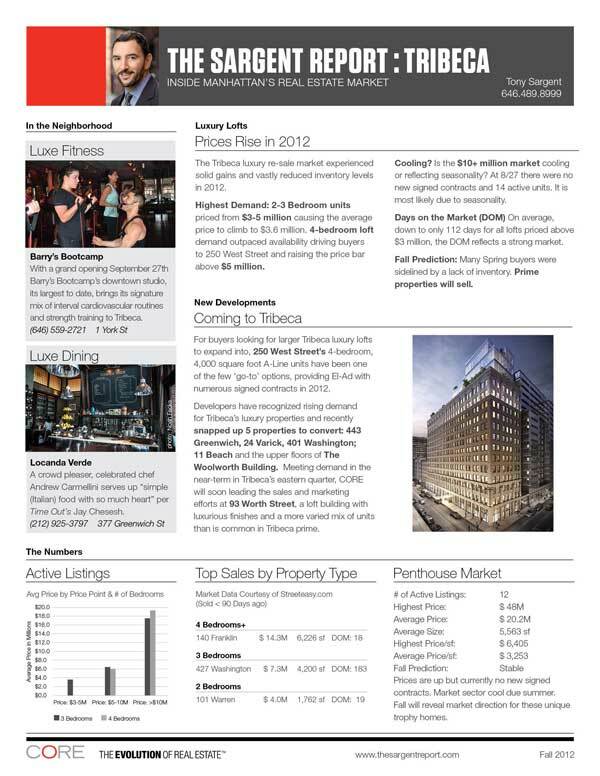 Including a summary of sales and market activity, details of future new developments and the most recent top condo sales, we hope you will find it informational and of value. Manhattan luxury real estate is moving at a very different pace than the entry-level, and it is our vision to provide residents and buyers of Tribeca high-end condominiums with the best possible advice, analysis, predictions and insight to make confident real estate decisions.